Finishing is Available for ALL Products, including those where the finishing options are not shown yet! 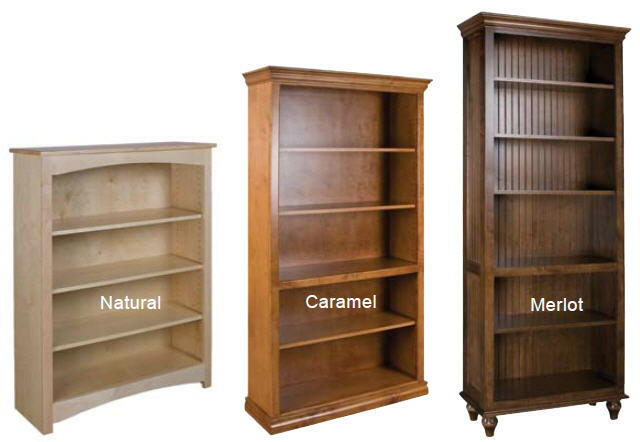 We offer a wide selection of finishes, including kitchen and bath cabinets, bookcases, and furniture! If you see a piece of furniture without a listed finishing option, contact us. Woodcraft uses the Becker Acroma Finishing System (www.becker-acroma.com), which is a high-quality, durable, and environmentally friendly set of professional-grade products. After the stain, paint and/or glaze is applied, we use a high-solid, non-yellowing, catalyzed conversion varnish that emits very low VOCs (Volatile Organic Compounds). The conversion varnish high-build properties produce a durable, chemical-resistant finish. Canyon Creek cabinets are also available in a wide range of stains and paints, any Benjamin Moore or Sherwin Williams paint color. They even have a custom color match program to match your existing finishes. Maple is usually the best choice of wood for painting since it has the least amount of grain. 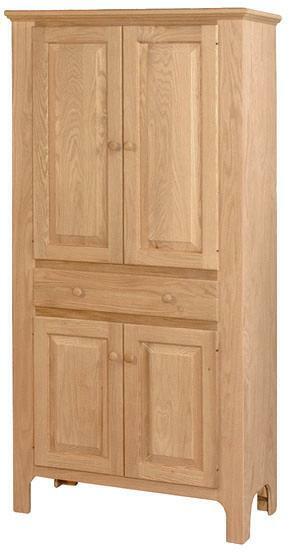 Please note that the bottom "toe kick" area of kitchen and vanity cabinets are not made of stain-grade material. For the best appearance, please order matching "toe kick" material or base moulding that is no more than 4.5"H (the toe kick area is 4.5"H x 3"D). To get a sample of the finish colors, please visit our sample request page and see below for the color choices. Our Maple, raised-panel cabinets were used on the HGTV show "Spice Up My Kitchen" Episode 210. They were finished with a blue-gray paint color and custom door panels were used to attach to the front of the appliances. The panels on the refrigerator were custom built by the carpenters on the show so that they would fit around the water and ice dispensers. It really isn't that hard to do yourself, but if you want something spectacular, see below for an example of faux finishing. 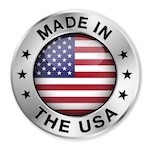 If you are in the Gaithersburg, MD area, check out Termini Furniture Service, which has been finishing and refinishing furniture for 75 years. We can deliver your orders straight to their shop if you arrange in advance to have them finished. If you want a completely custom look to your furniture, but are not up to the task of finishing them yourself, consider having an experienced finisher finish them for you according to your tastes. You can find someone near you by checking the phone book or Google for "furniture refinishers" and your city name. 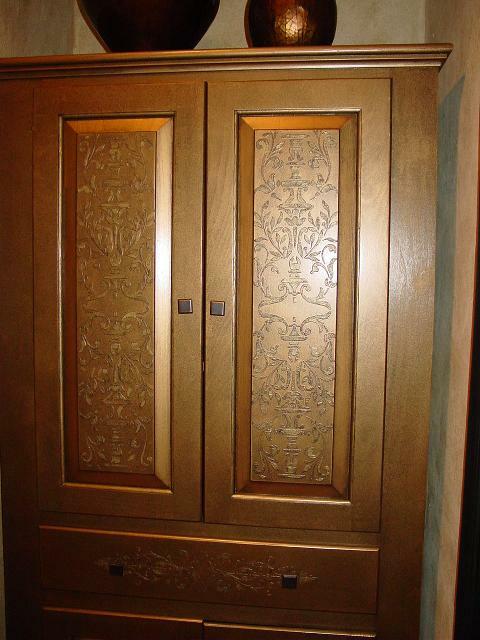 Below are some examples of faux finishes applied to wood furniture and cabinets. 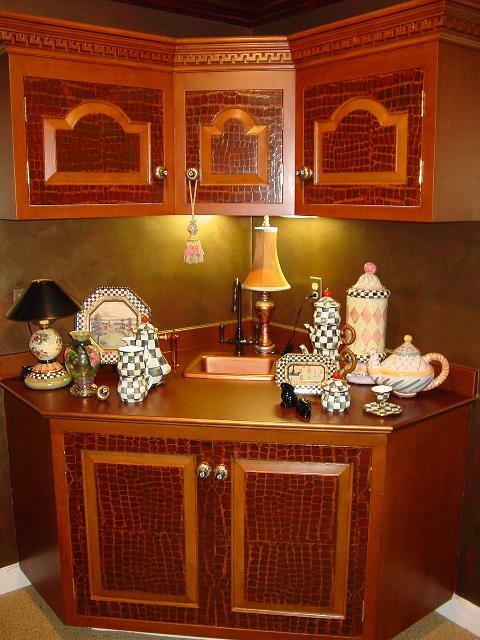 Above: This photo is of a set of cabinets with a faux alligator-skin pattern. The photo makes it look more reddish than it really is in person. 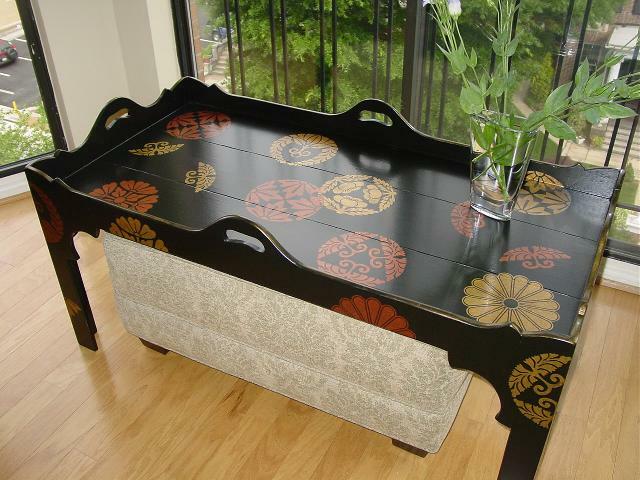 Above: This photo is of a table with a black lacquer finish and several stencil patterns. 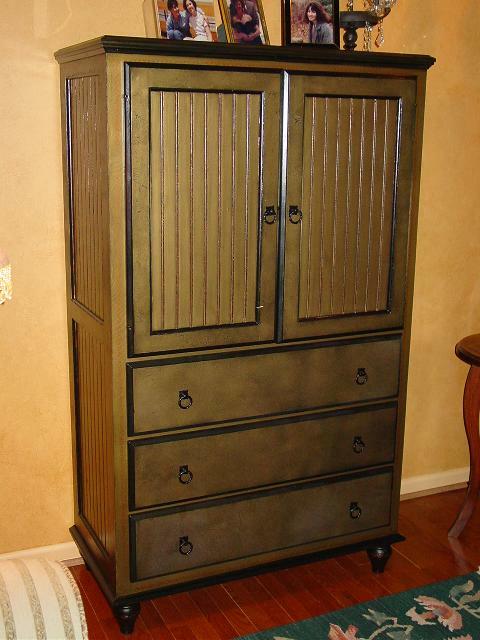 Above: This photo is of Woodcraft item WCP2B1926, "Cupboard, Country 4-Door," in Pine after the application of a faux finish, an intricate raised stencil pattern on the doors, and a new set of hardware. You can find this piece in the Country Living & Dining furniture section. For a photo of the unfinished piece (in Oak), click here. 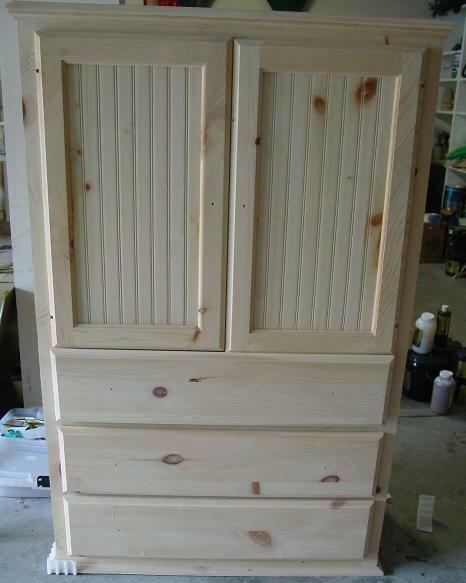 Above: This photo is of Woodcraft item WCP1E0502, "Armoire, 3-Drawer, 2-Door" in Pine after the application of a faux finish and a new set of hardware. You can find this piece in the Cottage bedroom furniture section. For a photo of the unfinished piece, click here.